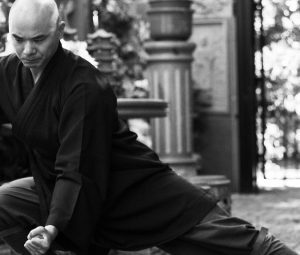 We will celbate with a Special Shaolin Training with Master Yuan Jing. The Chinese New Year in 2019 starts on Tuesday, February 5th and ends on January 24th, 2020. The Pig is not thought to be a a smart animal in China. It likes sleeping and eating and becomes fat. Thus it usually features laziness and clumsiness. On the positive side, it behaves itself, has no plan to harm others, and can bring affluence to people. Consequently, it has been regarded as a symbol of wealth. Their chubby faces and big ears are signs of fortune as well. 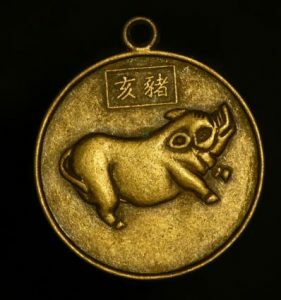 The Pig is also associated with the Earthly Branch and the hours 9-11 in the night. In terms of yin and yang, the Pig is yin. Birth years for the Year of the Pig/Boar are 1935, 1947, 1959, 1971, 1983, 1995, 2007, 2019.